Time-Saving interactive notebook templates that allow students to show what they know! Interactive Notebooks: Math for eighth grade is a fun way to teach and reinforce effective note taking for students. Students become a part of the learning process with activities about rational numbers, multistep equations, functions, the Pythagorean theorem, scatter plots, and more! This book is an essential resource that will guide you through setting up, creating, and maintaining interactive notebooks for skill retention in the classroom. High-interest and hands-on, interactive notebooks effectively engage students in learning new concepts. Students are encouraged to personalize interactive notebooks to fit their specific learning needs by creating fun, colorful pages for each topic. With this note-taking process, students will learn organization, color coding, summarizing, and other important skills while creating personalized portfolios of their individual learning that they can reference throughout the year. Spanning grades kindergarten to grade 8, the Interactive Notebooks series focuses on grade-specific math, language arts, or science skills. Aligned to meet current state standards, every 96-page book in this series offers lesson plans to keep the process focused. Reproducibles are included to create notebook pages on a variety of topics, making this series a fun, one-of-a-kind learning experience. 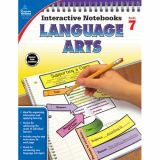 Interactive Notebooks: Language Arts for seventh grade is a fun way to teach and reinforce effective note taking for students. Students become a part of the learning process with activities about plot structure, conflict, clauses, misplaced and dangling modifiers, connotation, allusion, and more! 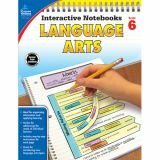 Interactive Notebooks: Language Arts for eighth grade is a fun way to teach and reinforce effective note taking for students. Students become a part of the learning process with activities about textual evidence, literary devices, theme, analyzing argument, revision and editing, verb moods, and more! 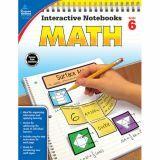 Interactive Notebooks: Math for sixth grade is a fun way to teach and reinforce effective note taking for students. Students become a part of the learning process with activities about absolute value, ratios, evaluating expressions, one-variable equations and inequalities, surface area, and more! Interactive Notebooks: Math for seventh grade is a fun way to teach and reinforce effective note taking for students. Students become a part of the learning process with activities about integers, proportions, expressions and inequalities, angle relationships, probability, and more! Interactive Notebooks: Science for second grade is a fun way to teach and reinforce effective note taking for students. Students become a part of the learning process with activities about plant and animal needs, life cycles, matter, sound, the moon, the water cycle, and more! 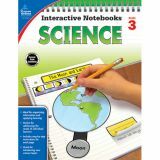 Interactive Notebooks: Science for third grade is a fun way to teach and reinforce effective note taking for students. Students become a part of the learning process with activities about plant and animal adaptations, the human body, matter, force and motion, simple machines, the solar system, and more! Interactive Notebooks: Science for fourth grade is a fun way to teach and reinforce effective note taking for students. Students become a part of the learning process with activities about traits, food chains and webs, types of energy, electricity and magnetism, rocks, fossils, the sun, Earth, and more! 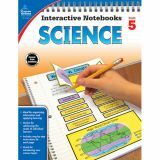 Interactive Notebooks: Science for fifth grade is a fun way to teach and reinforce effective note taking for students. Students become a part of the learning process with activities about ecosystems, body systems, physical and chemical changes, weather, Earth's crust, natural resources, and more! 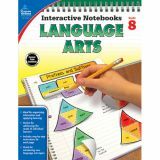 Interactive Notebooks: Language Arts for sixth grade is a fun way to teach and reinforce effective note taking for students. Students become a part of the learning process with activities about making inferences, improving writing, pronouns, active and passive voice, Greek and Latin roots, and more! 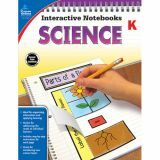 Interactive Notebooks: Science for kindergarten is a fun way to teach and reinforce effective note taking for students. Students become a part of the learning process with activities about the five senses, plants, animals, physical properties, motion, day and night, and more! 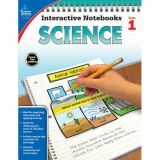 Interactive Notebooks: Science for first grade is a fun way to teach and reinforce effective note taking for students. Students become a part of the learning process with activities about living and nonliving things, habitats, states of matter, light, soil, weather, and more!